I have only been a bridesmaid once. My cousins and I (ranging in age from 4-11) were bridesmaids for my Dad's sister Anne, the summer I turned 10. The wedding was in Cambridge and I felt so grown up being part of the wedding party, getting to walk up and down the aisle following the bride. There are some gorgeous pictures of the day, but not being very photogenic, I'm screwing my face up in most of them! As a Thank you gift for being a bridesmaid, Anne gave us gorgeous matching bracelets which we wore on the day. I still love mine and it still fits! 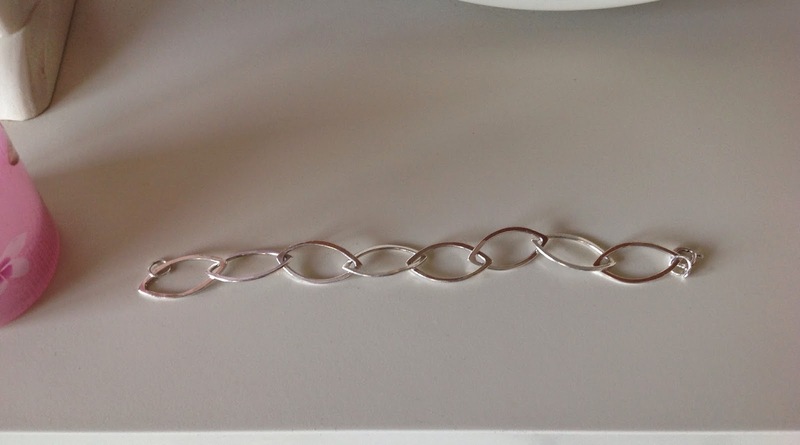 When looking for the perfect gift to say 'Thank you' to my bridesmaids I wanted to find something, like this bracelet from my aunt, that would remind them of our wedding for years to come. With this in mind I decided that jewellery was a good idea. I'm a fan of the Pandora range and it immediate jumped into my head as an option. Two of my bestfriends bought me a white leather Pandora bracelet before I moved to Leicester and I love it! 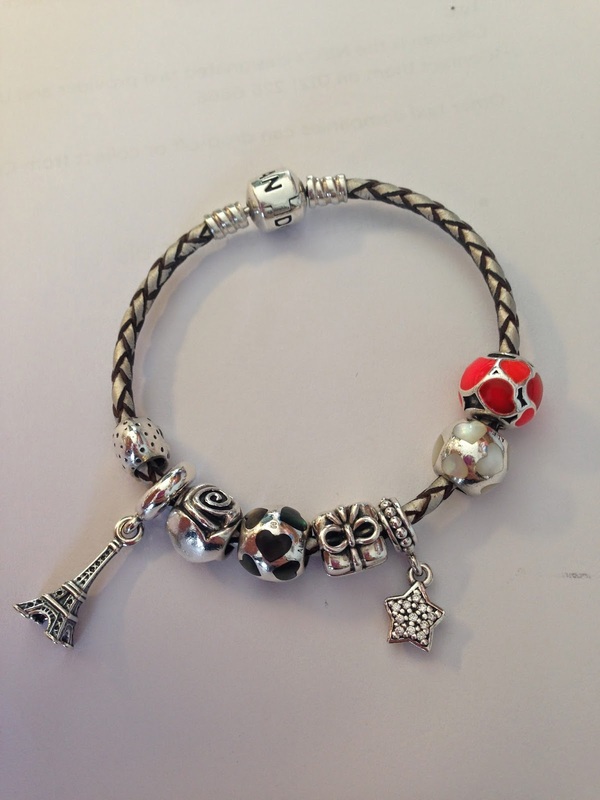 I've been lucky enough to receive some charms as gifts from friends, family and Jim - most recently Jim bought me an Eiffel Tower charm when we were in Paris. With Pandora bracelets as a possiblity I began my hunt to make sure there wasn't something out there I liked even more. 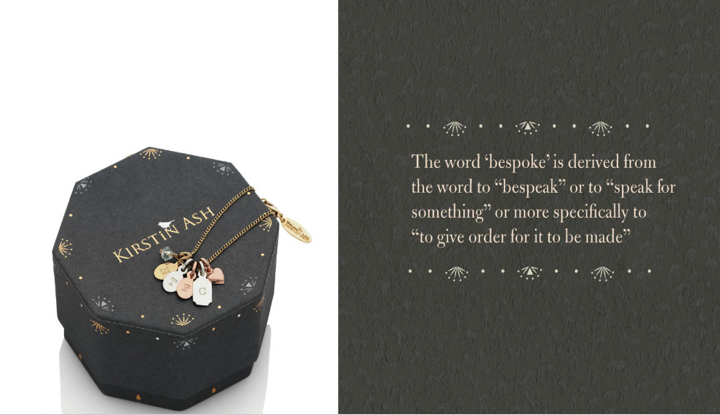 I really loved Kirstin Ash's bespoke charm pieces. You can chose between a gold or silver necklace or bracelet length chain and then customise each piece with charms for your bridesmaid. Unfortunately the silver bracelet chain has been sold out for ages and I wasn't so keen on the gold for the girls. Right through our wedding planning I've spent a lot of time browsing on Not On The High Street. There are some really fantastic brands featured on the site and I've purchased lots of lovely cards and gifts from it. 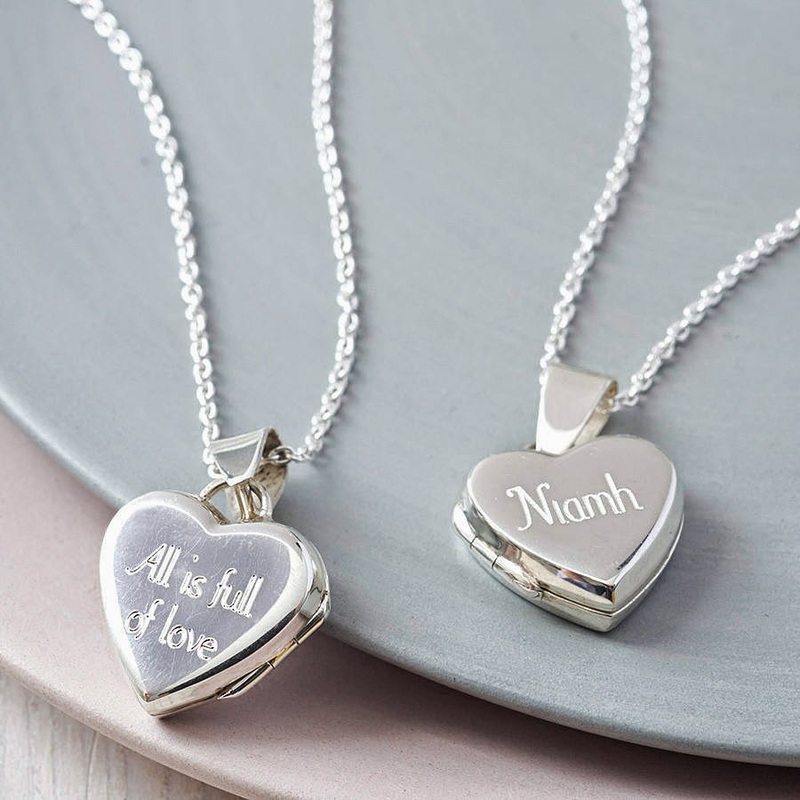 I love this heart locket by Hurley Burley and thought it could be a lovely thank you gift for bridesmaids but I was more keen on a bracelet than a necklace. While browsing in Highcross I notived that Thomas Sabo have started a new range called 'Karma Beads' similar to the idea of the Pandora bracelets. I love Thomas Sabo jewllery but don't like their bracelet chains as much as the Pandora ones but they do have some absolutely gorgeous rose gold beads. After a lot of research I couldn't find anything I liked more than the Pandora Bracelets. As they don't have a specific bridesmaid charm (they would probably sell a lot of them if they did!) and their 'Super Sister' charm didn't jump out at me, I thought I'd pick something that they could wear on our wedding day with their bridesmaid dresses. 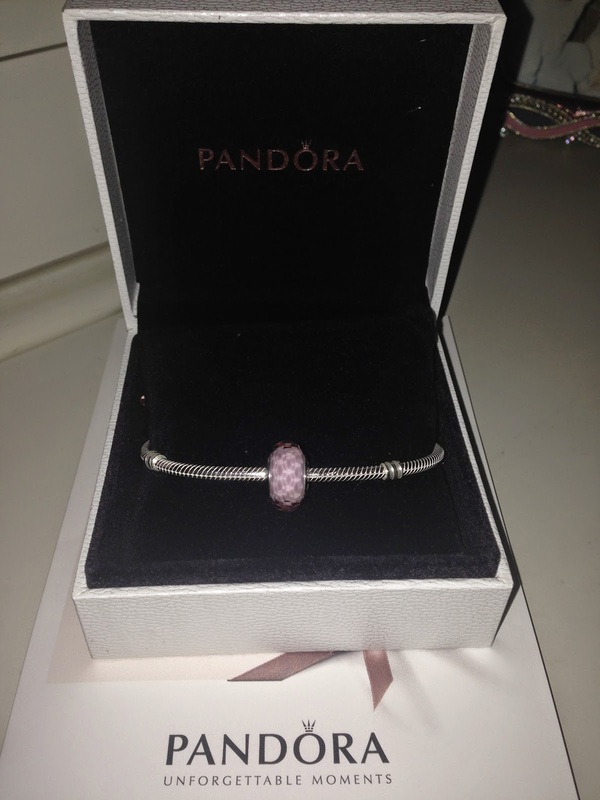 I chose these gorgeous pink faceted Murano glass beads on a silver Pandora bracelet. I love that the girls can add beads to these bracelets to celebrate other special occasions or memories. I hope they love them as much as I love mine.